Miss Jane Carrington planted a Pinus radiata, and four other trees at the base of Cannon Hill on 29 May 1876. 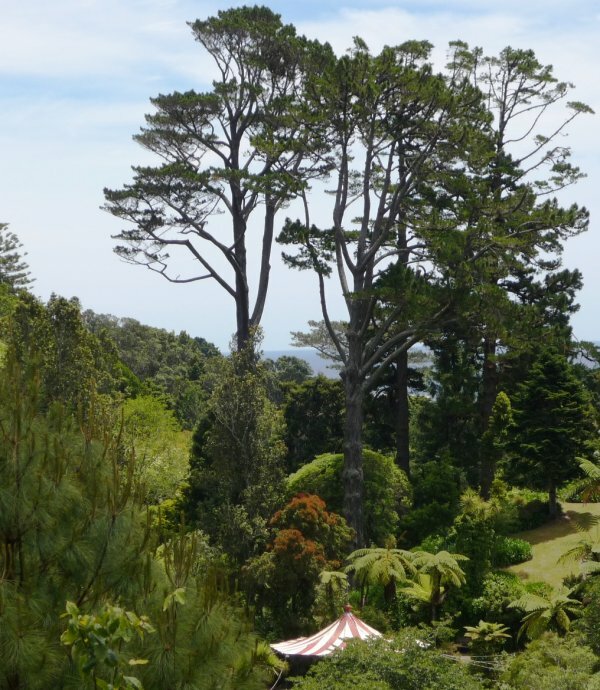 The original Carrington Pine was removed sometime after 1934, and the current tree, planted at the same time, assumed the title (Ref, George Fuller, at http://www.pukeariki.com/Research/TaranakiStories/TaranakiStory/id/451/title/pukekura-park-a-place-that-steals-hearts.aspx). This ceremonial spade, with a specially inscribed handle, was used by Jane Carrington to plant the first trees in the Recreation Ground, now Pukekura Park, on 29 May 1876. The first trees planted were an oak representing Britain, puriri (New Zealand), Norfolk Island pine (the Pacific) and Monterey pine (the Americas). Guests at the official opening then continued the planting. 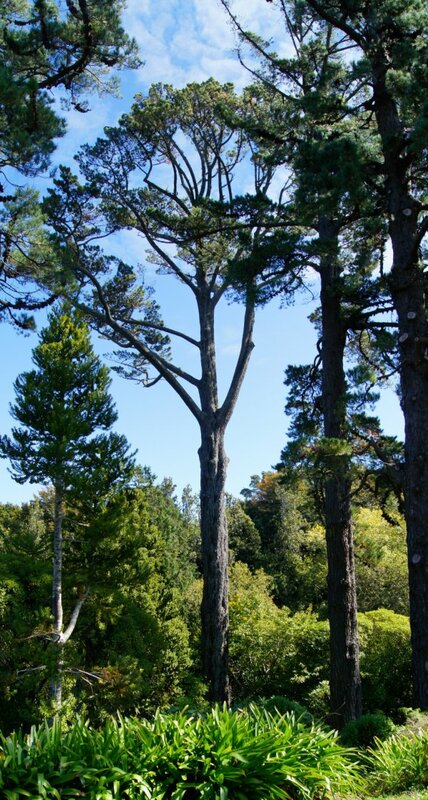 The tallest pine tree in a group on Cannon Hill, it is often considered to be the tallest tree in the park, but a nearby Norfolk Island pine is actually taller (TR/0766) Smillie, 2010. This tree was removed in December 2016 after an 11 m long crack was found in the trunk. See Taranaki Daily News, December 13, 2016. Sighting taken from 40m out toward the main lake. Tall tree, with unbroken trunk to ~20 m. Wide spreading crown. 01 Jan 2010 Cadwallader, B.G. 01 Sep 2001 Smith, C.T. & Fuller, G.
On the lower, southwest side of Cannon hill, east of the Hatchery Lawn. Easy access.